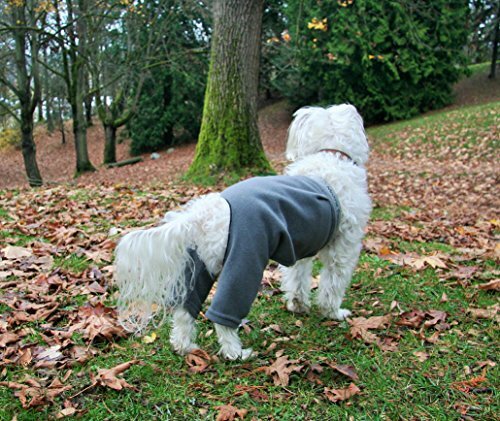 Mozzie Pants, Dog Pants, are designed with you and your pet in mind. 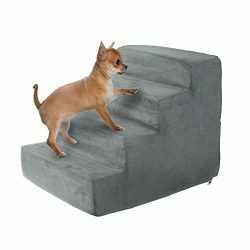 High quality construction and materials offer long lasting comfortable design for the lifetime of your pet. Leg Length: Special design allows you to trim the leg length with scissors, without garment fraying or coming apart. We suggest you cut the garment legs a few inches above the paw if needed. If you do not need leg coverage, you can cut the legs to be short sleeves. You can also roll the sleeves up and sew in a few places to secure in case you need leg coverage down the road. Securing pants for some pups: Pull the pants all the way up the body towards front legs. Based on your pups body type, coat and activity level here are some tips for securing the pants if required: -Add a Mozzie Pants T-shirt, tuck the shirt into the pants. This will give the garment more stability, especially for slick smooth coats. -If your pup is really active, has a narrow backend or a tail that tends to go between their legs, you can connect the pants to a harness. Using elastic, velcro or Dritz Ironing Board Cover Fastners. Or use elastic to make suspenders for your pup. 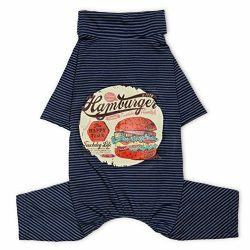 Sewing snaps onto the pants and attaching to a T-shirt will create a custom onesies for your pup! We suggest using Dritz – brass sew-on snaps size 10. 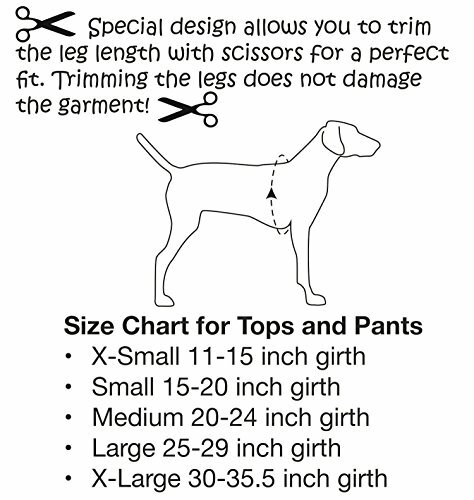 Sew the male part of the snap onto the elastic waist band of the pants and the female part onto the shirt at the appropriate position for your pup. Two snaps on back and one between their legs. 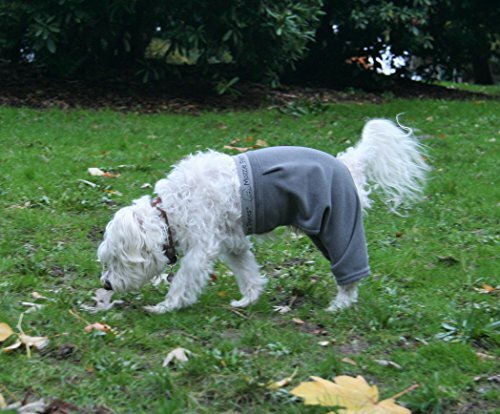 Feel free to contact Mozzie Pants customer service for any additional questions.Dog pajamas keep your dog clean and warm during walks outdoors (no more toweling off at the door), avoid snow matts or just look adorable and offer light coverage! When you walk your dog the street grime will stay off your dog’s coat allowing your home to stay clean. Dog allergies can also be minimized by keeping allergens off the coat. Dog tick prevention and dog flea prevention can also be supported with Mozzie Pants dog pants. 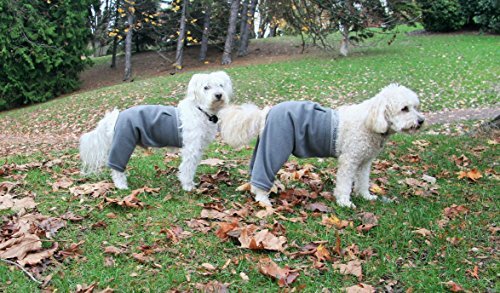 Recommended by Veterinarians for use indoors or outdoors, dogs can go to the bathroom with these dog pants on. 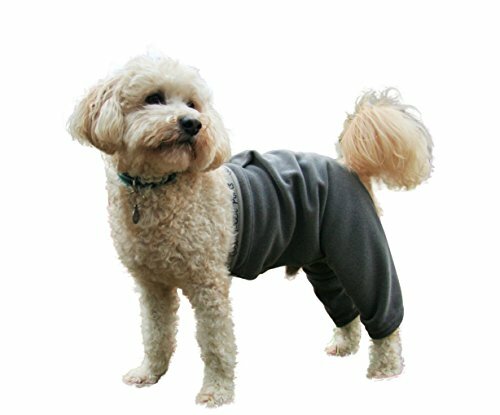 Dog clothing to cover dog wounds and dog hot spots. Alternative to Elizabethan Collar (e-collar) (recovery collar). Machine wash and dryer safe, human quality materials and construction. Made from the highest quality fleece in the U.S.A. for daily wear, no skin chaffing or coat damage. This fabric is made from a yarn that is composed of 89% post consumer soda pop bottles. Water resistant dog clothing. This is a warm fleece if you are looking for lighter coverage check out our Mozzie Pants cotton garments. Flat soft seams ensures pets comfort for daily wear. HANDCRAFTED WITH COMPASSION BY WOMEN! Exclusive PATENTED DESIGN adjustable Leg Length – Special design allows you to trim the leg length with scissors, without garment fraying. We suggest you trim the garment legs at least a few inches above the paw. They can be trimmed all the way to short sleeves to accommodate all pet clothing needs! Perfect for dog surgery recovery suit (dog after surgery wear). Dog pants to prevent licking and pants for dogs after surgery. 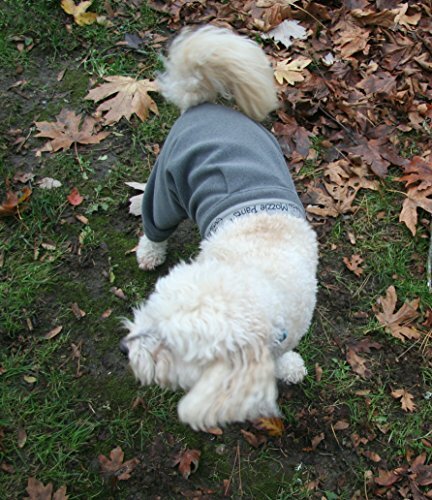 Mozzie Pants dog clothing is versatile and will look great after many wash cycles. 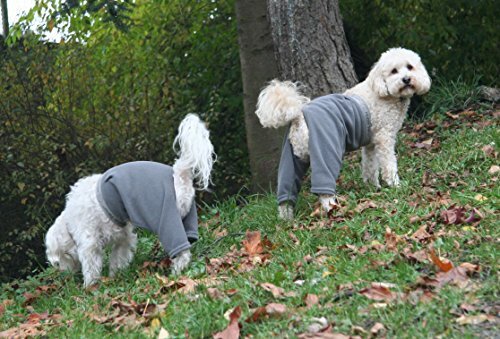 Mozzie Pants Fleece Tops will complete your dog onesie. 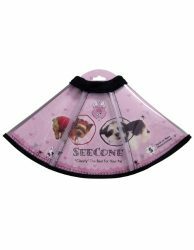 Pet clothing sizes for all dogs – 2 lbs. to 100+ lbs. See girth measurements for size details. (Extra Large dog clothing and small dog clothing.) 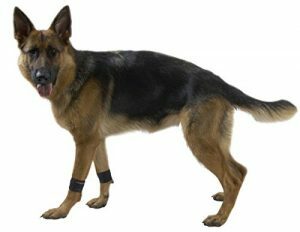 E-collar alternative for cats and dogs. (Recovery collar for cats and dogs) Cats have also benefited from wearing Mozzie Pants. Dog anxiety relief for some dogs occurs when wearing the garments. Similar to a calming vest or dog anxiety jacket with breathable fabric (no Velcro). 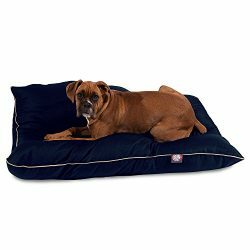 Recommended for thunder, fireworks, separation anxiety and overall comfort for nervous dogs.